Copyright © 2009 Diana L. Guerrero. All rights reserved. Spring is finally here but not before a cold snap hit the mountains. Fortunately I was down in San Diego enjoying myself. I hope you had a great holiday—mine was spent with framily (friends that are family). Since I last wrote things have been a bit unsettling but the news is ultimately good. The doctors ruled out a couple of diseases (including cancer) that they suspected might have been issues contributing to my symptoms. Although they still are not certain what I’ve been facing (and more blood tests are around the corner) I am feeling better. With any luck I’ll be able to resume a regular schedule sometime this summer. While staying at my friend’s house in the San Diego area, I was able to help train her newly adopted cat. He has no restraint and so bites and scratches in play which is probably why he was at the rescue agency for more than six months. The fab feline is pretty quick to learn and very creative. I was able to reshape some of his behavior and found it amusing to watch him make up games with the paper bag and balls he was given. The nice thing about my trip was that he really took to me and supervised my visit by watching over me while I slept, making sure that I had a good lap warmer, and just spent time being a great pal. Funny how animals sense when you need some serious TLC. His actions went a long way to helping me feel better after the drama of the few weeks prior to my visit. I hope that you are also enjoying the change in season and the good company of animals. A couple of people I know have announced a couple of special offers that I thought you might be interested in. Danielle Chonody has been operating a successful pet sitting business out of the Texas area for quite some time. I met her in an online program just prior to her launch of the Pet Business Success Circle. She has been a pretty busy gal since them and interviews a variety of successful pet business owners and other services that are helpful for obtaining success in the pet sitting business. On Tuesday, April 21, 2009 she will be interviewing Robert Nager the owner of Decadent Dog in Needham, MA, who was crowned the 2008 Pet Sitter of the Year by Pet Sitters International on February 19, 2009. She had invited those of you who are interested in animal careers to join the call at no charge. During the interview they will discuss how Nager has marketed Decadent Dog, hired and managed his sitters, and he will share his customer service tips for wowing his customers and turning them into raving fans. Some of you tried the supplement that Dr Andrew Jones developed. He has just given me advance notice that he is going to release an updated course for pet owners called Veterinary Secrets Revealed 2.0. The new course is much larger than the original release and contains 18 components. 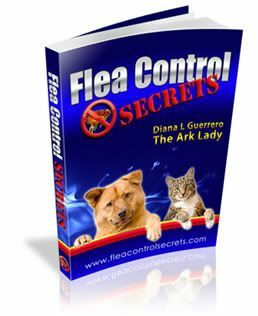 He has doubled the number of diseases and remedies in my Veterinary Secrets Revealed Second Edition Printed Manual (now 500 pages) and has also included his Pet First Aid Secrets: Complete Dog and Cat First Aid Manual. This special program will be available later this month but Dr Jones usually has a few specials leading up to it—keep your eyes open for my email on this special offer. Most of you have said you don’t want daily notifications about the new content on the web. If you do, I’d suggest visiting http://www.ArkAnimals.Com so you can sign up for the RSS feed. Directions are on the website and you won’t miss a thing! Training Talk: What Age Should You Begin Training? by following the information (or clicking on the link) included in your verification email (or the bottom of this email). If you signed up at an event, you were entered into the private database and can be removed by following the same instructions.